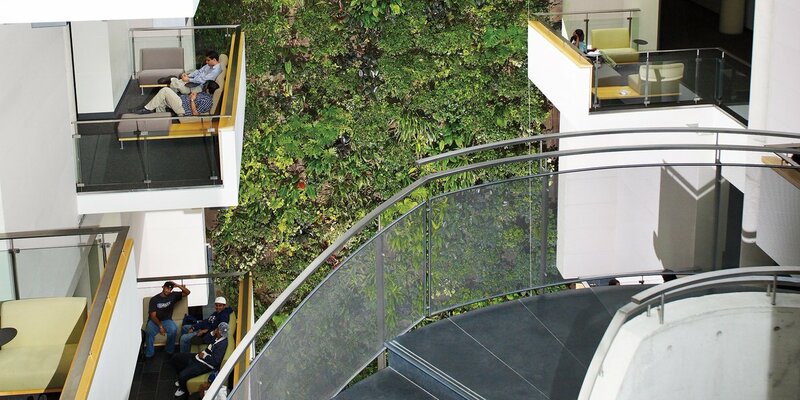 At six stories high, this is the tallest living Biofilter wall in North America. The wall is located in the beautiful skylit atrium and can also be seen from outside the building. The wall is fully integrated into the building’s air handling system and can treat 13,806 cfm of air. All of the building’s humidity is also provided by the wall and no mechanical humidification is needed. The University’s administration is seeking LEED Gold Certification for the building.